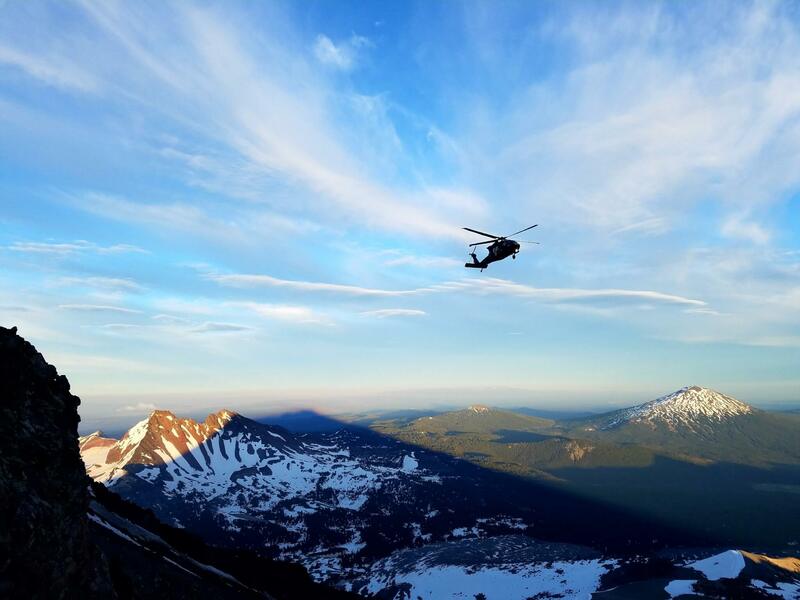 On 05/19/18, at about 2:24pm, 9-1-1 Dispatch received a report of an injured skier on South Sister. 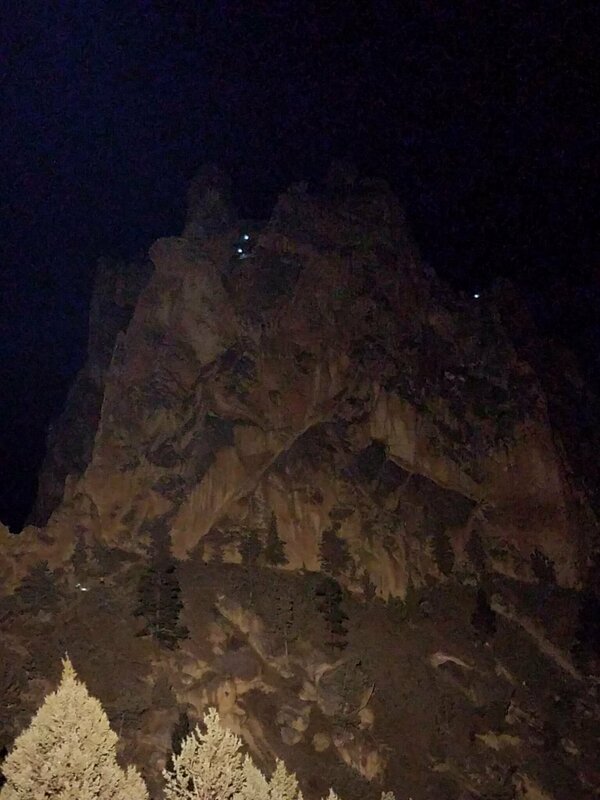 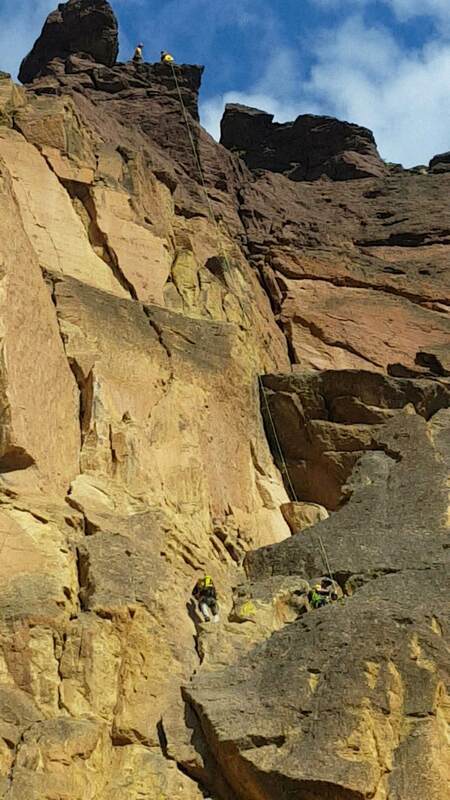 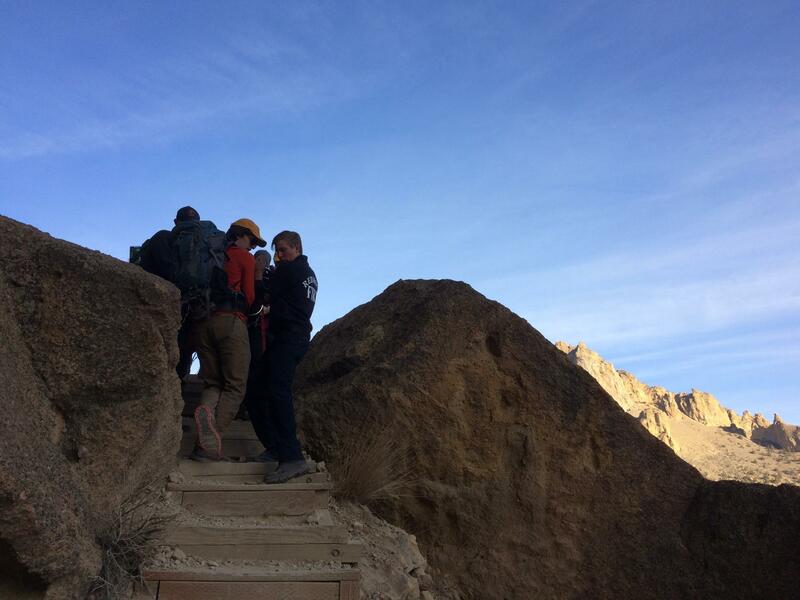 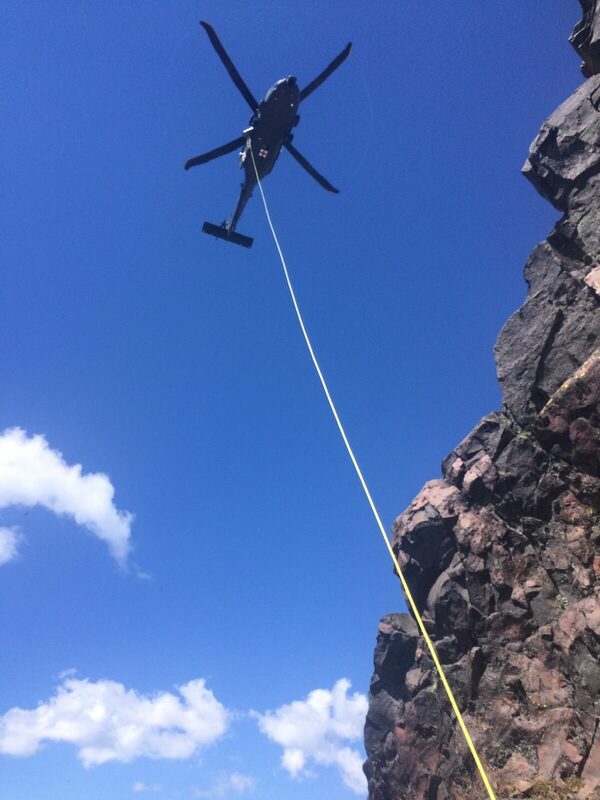 The caller reported 32 year old Nick Economou had suffered a non life threatening injury and was unable to get down South Sister without assistance. 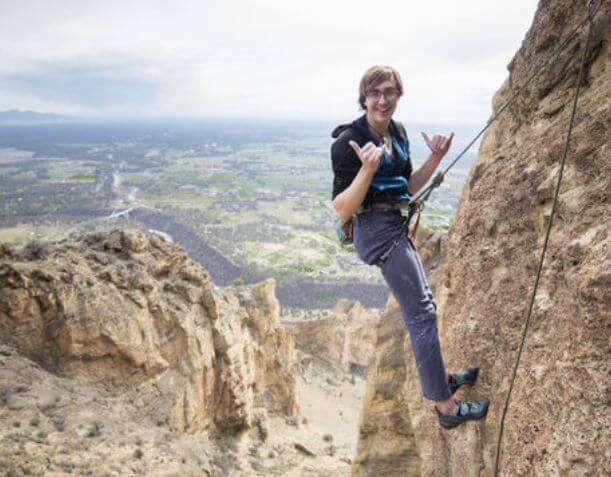 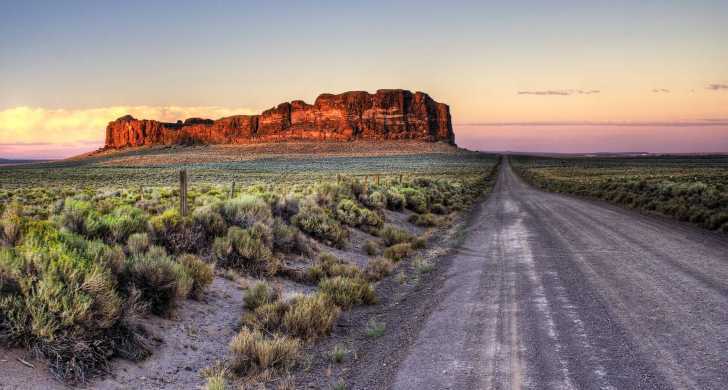 Economou was reported to be at approximately 8,250′ elevation. 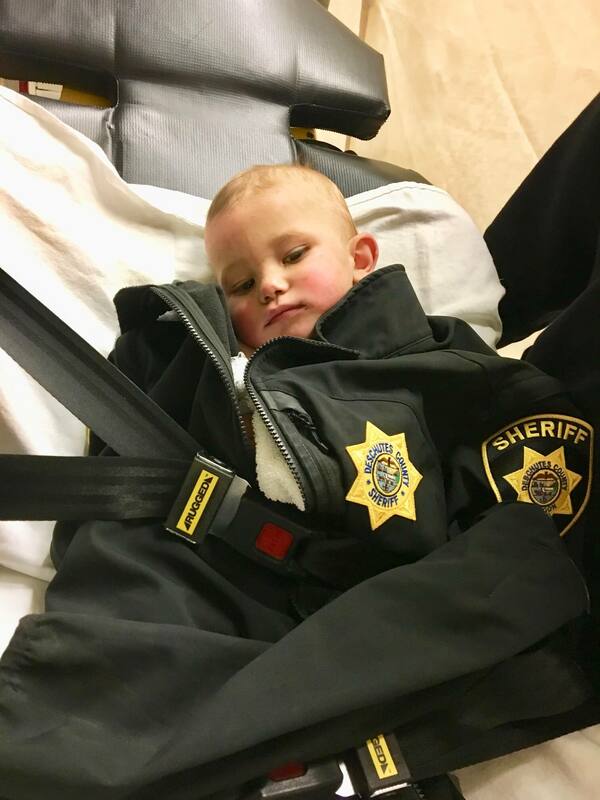 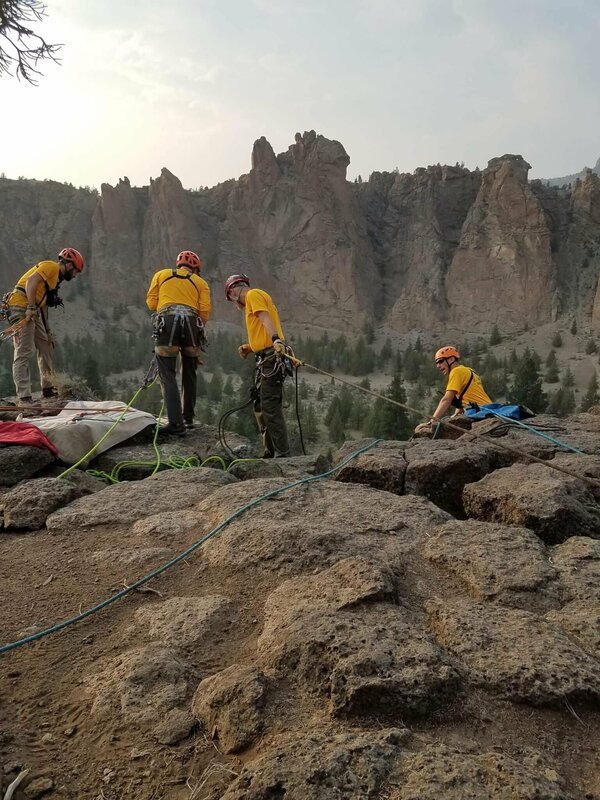 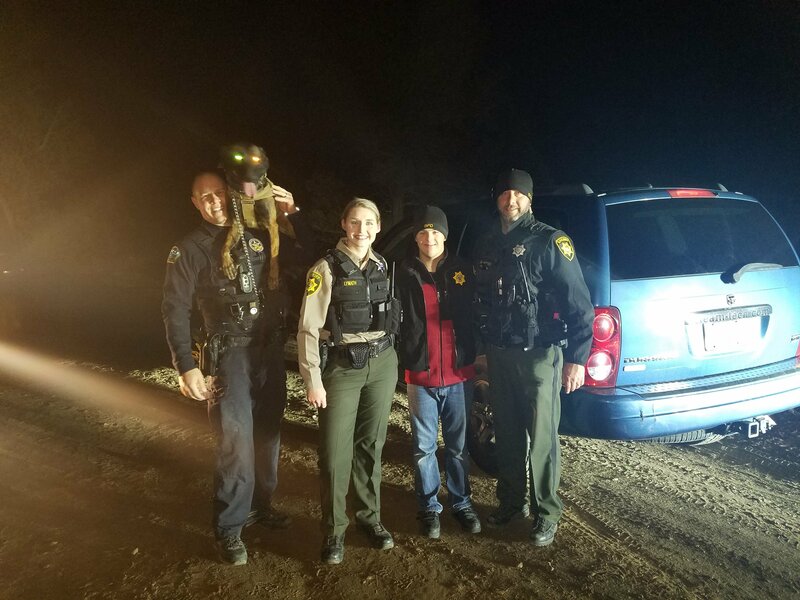 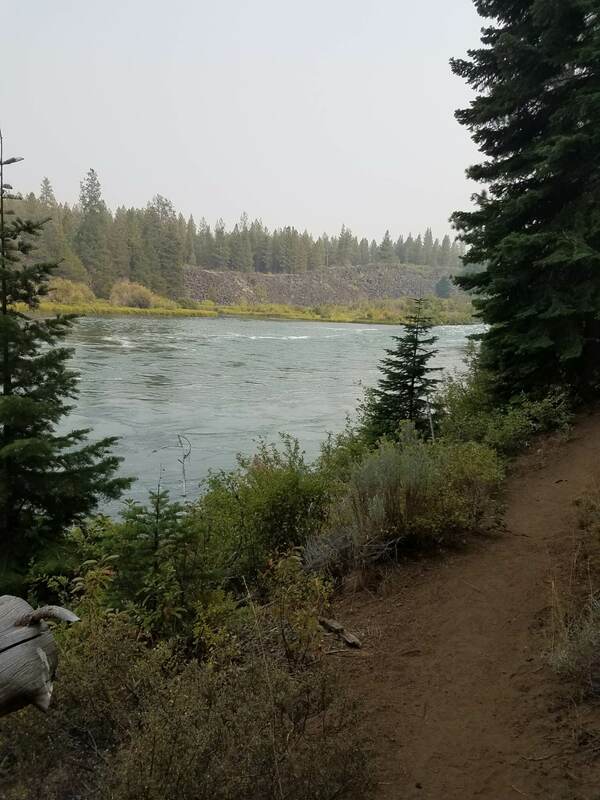 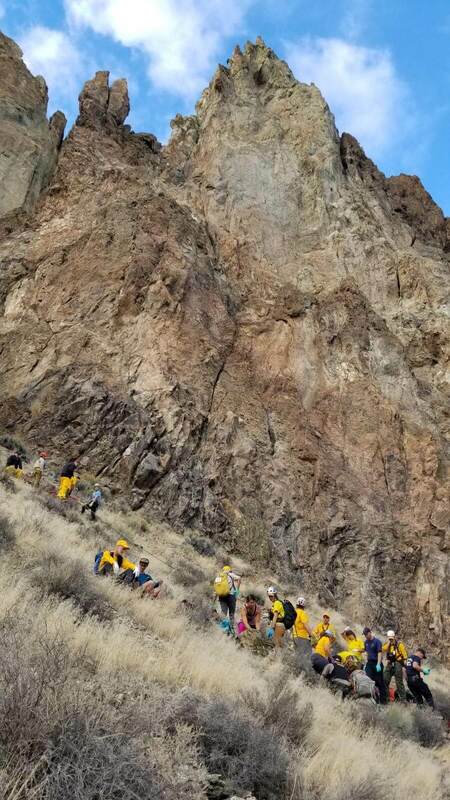 Eight Volunteers from the Deschutes County Sheriff‘s Office Search and Rescue Unit responded to assist. 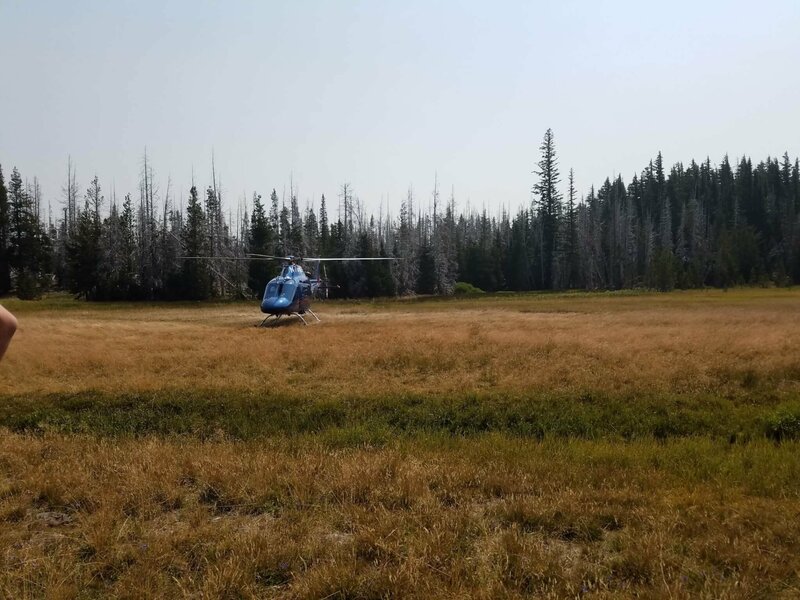 Air Link flew four DCSO SAR Volunteers to an area as close as possible to where Economou was located. 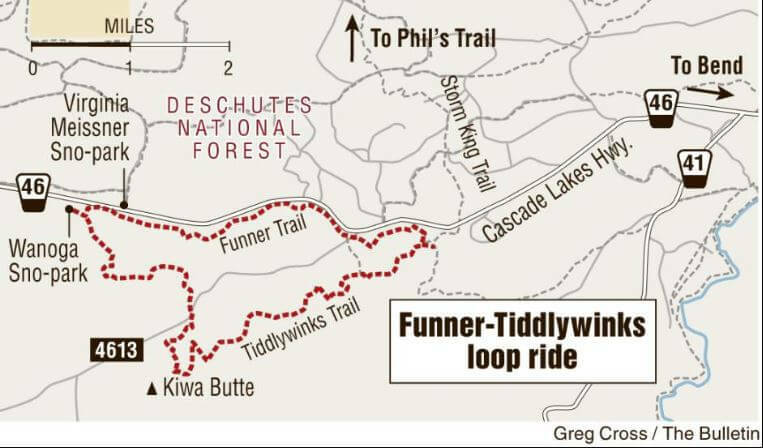 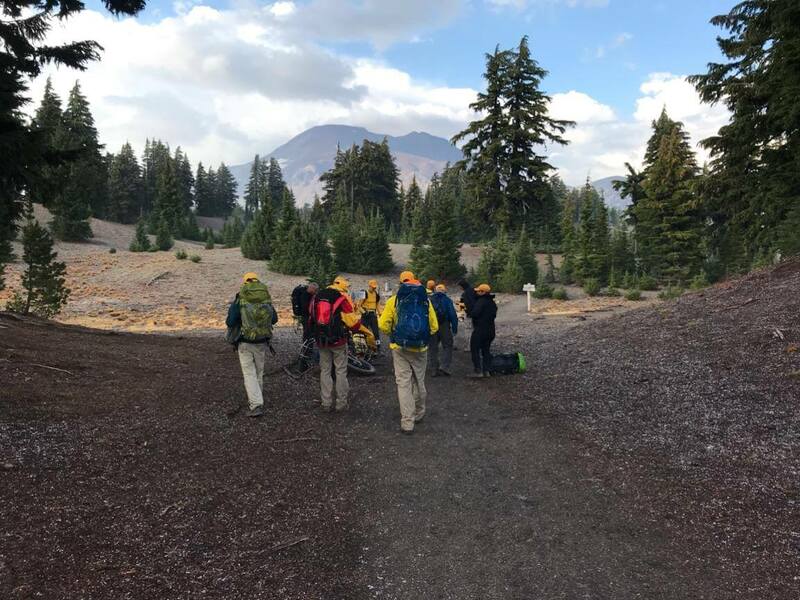 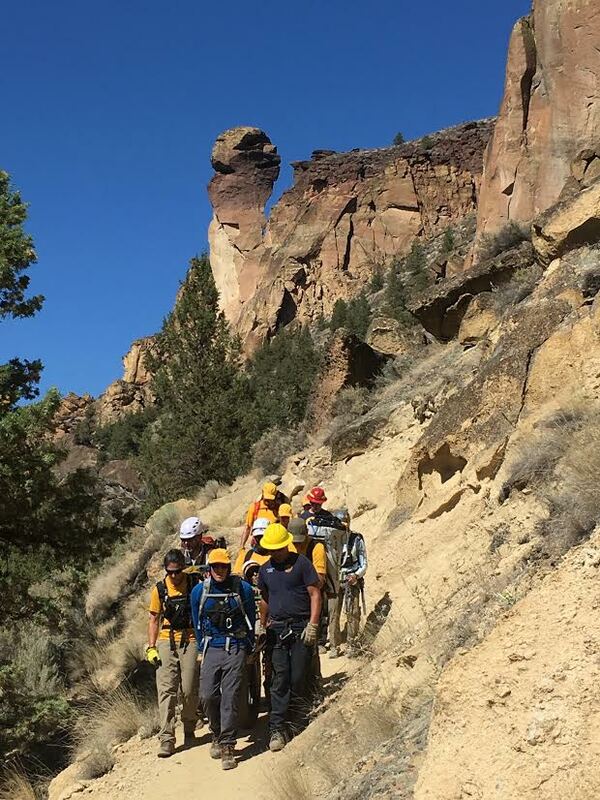 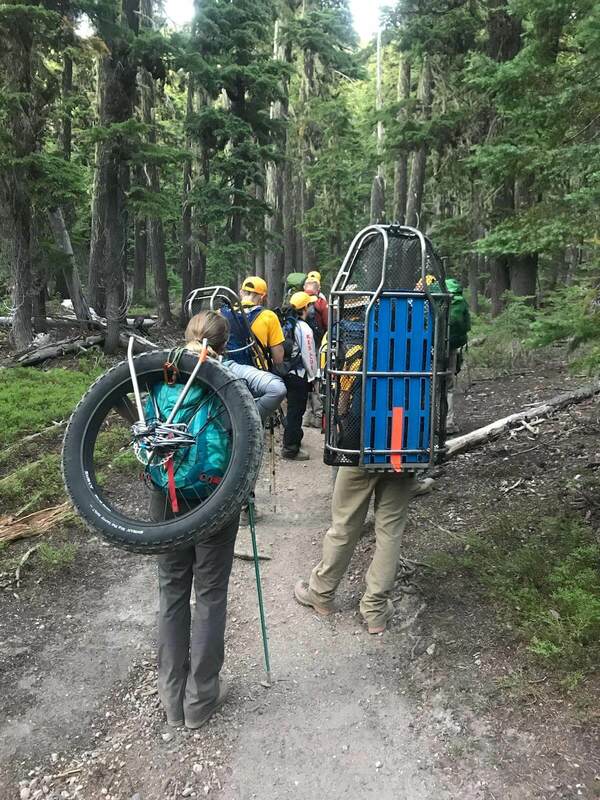 The additional four DCSO SAR Volunteers hiked from the Devil’s Lake Trailhead towards Economou’s location on South Sister. 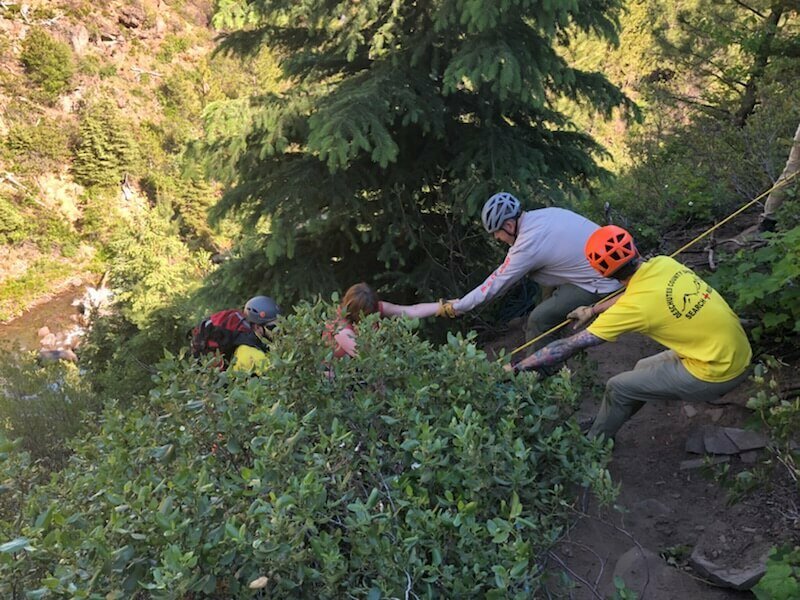 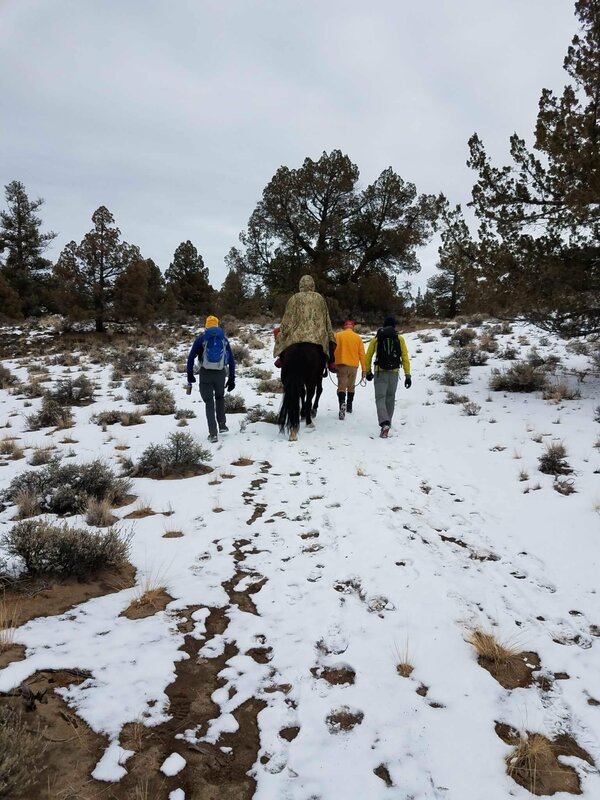 DCSO SAR Volunteers made it to Economou’s location at approximately 3:18pm, stabilized his injury and transported him back on a rescue sled, approximately 1/2 mile, to the location AirLink was standing by at. 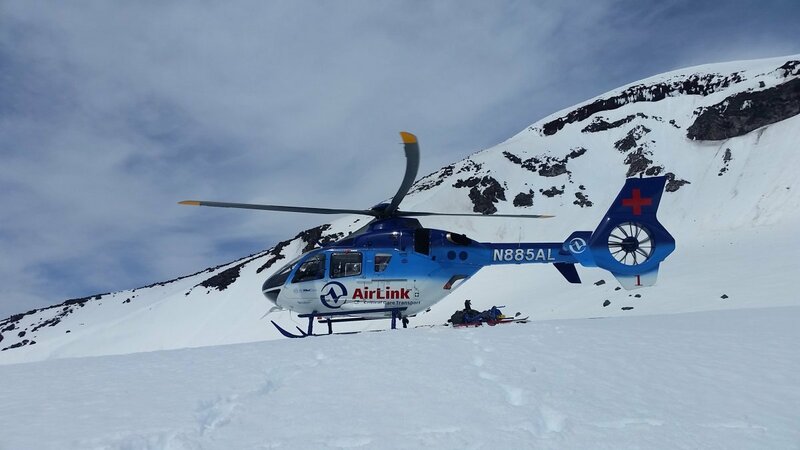 Economou was then transported by AirLink to St. Charles Hospital in Bend for further evaluation. 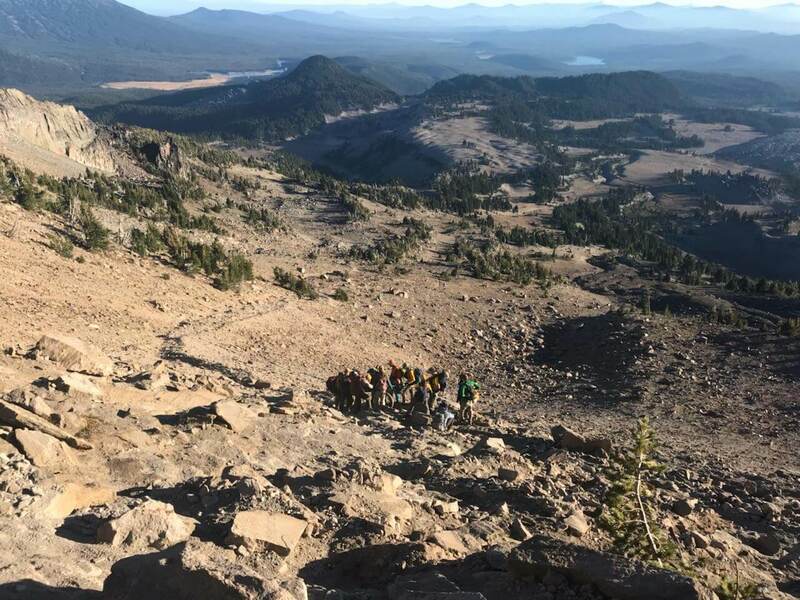 Skiing South Sister is inherently dangerous, but Economou did several things right to help mitigate the problems he encountered. 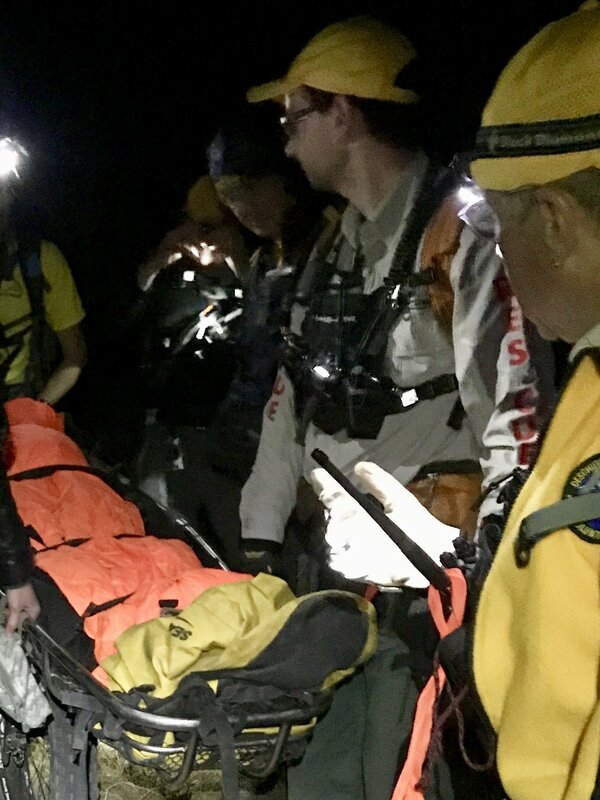 Economou was familiar with the area, prepared for the conditions and was traveling with other skiers who were able to contact 911 for assistance. 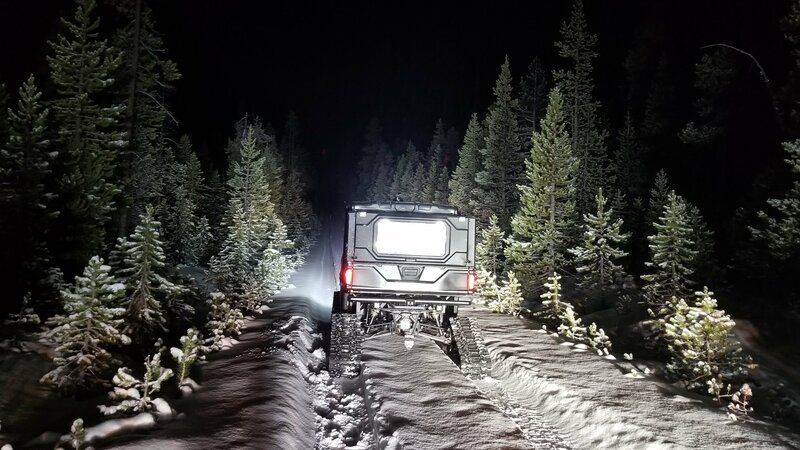 Those considering recreating in the Cascade Mountains at this time of year should be prepared for anything from bare dirt to deep snow as well as extreme weather pattern swings.